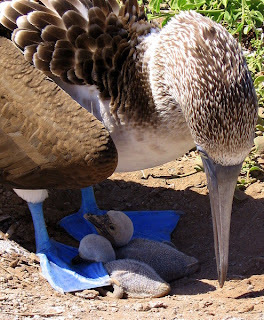 The Blue Footed Boobies also use their feet to protect their little chicks. The feet are webbed and actually are used to cover the chicks and protect them from the sun and heat. 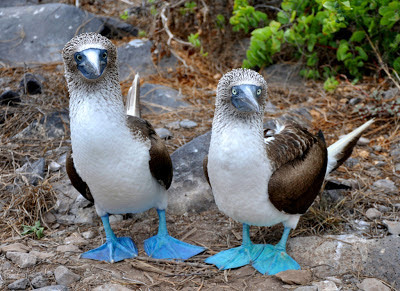 But there is more to boobies than their mating habits. For example - they have to eat. They typically eat small fish, and their keen eyes allow them to sight the fish in the water from as high as 80-100 feet above the ocean surface. They travel sometimes in large numbers and attack the little fish, such as anchovies, that serve as their main sustenance. Blue Footed Boobies are wonderful divers. And their method of dive bombing for their dinner is as ritualized as their mating dance. 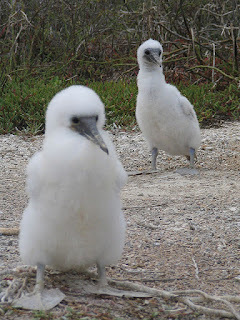 Their wings and feathers, which provide buoyancy, fold back and give them a streamlined body. Then, they plunge. 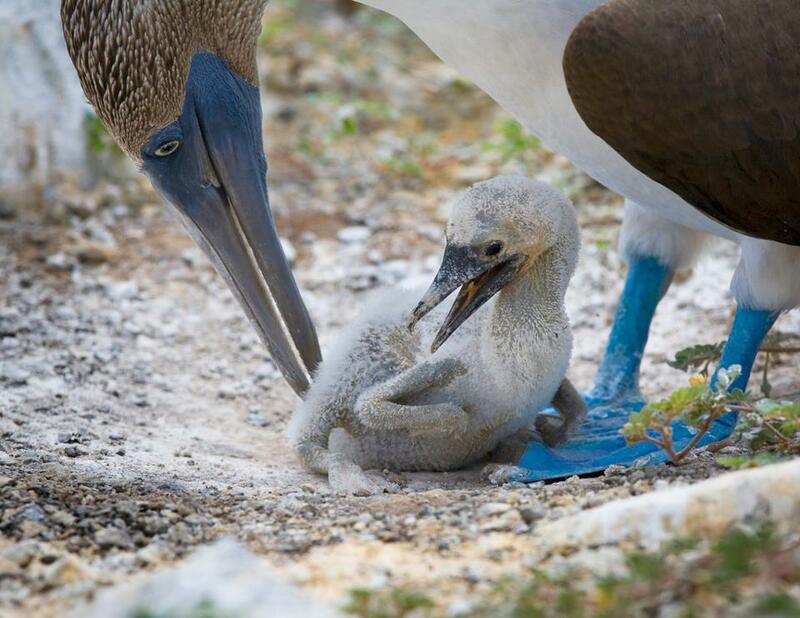 Every so often, we are lucky enough to see a group of Blue Footed Boobies at feeding time. They mass together and dive bomb for a delicious fish dinner. This is a spectacular sight. This video is from YouTube. Blue Footed Boobies - they really are a Galapagos Island favorite.